Reliability, convenience, and great fuel economy are among the many reasons for upgrading to a new small car, and it seems like every name in the business wants you to buy theirs. That includes us, and we have a huge selection of exciting new 2018 Volkswagen Jetta models to choose from in our new vehicle inventory at Carter Volkswagen in Ballard. However, instead of simply telling you that our small car is the best, we want to prove it with the facts. In this VW competitive comparison information page, we look at the renowned reputation of Toyota. Read through the details below for a preview of how the new 2018 Volkswagen Jetta offers superior design, performance, and safety than the 2018 Toyota Corolla, and be sure to browse our frequently updated VW special offers to see how easy it is to upgrade. It's also easy to schedule a test drive online, and we look forward to seeing you at 5202 Leary Avenue Northwest, Seattle, WA 98107. When you consider the design of your next new small car, thoughts on the appearance may be the first that leap to mind. However, there's a lot more than the looks of a new car to think about. For instance, which option offers more for your money? Even we were surprised to find just how much more you get in a new 2018 VW Jetta for what is essentially the same price tag that comes with the new Toyota Corolla. Heated exterior mirrors, express one-touch window control for every window, and 16-inch alloy wheels are all standard on the new Volkswagen Jetta while costing extra as upgrades on the 2018 Toyota Corolla. In fact, you'll even have to pay more for a remote key fob that locks and unlocks the doors and trunk of the Toyota Corolla while the Jetta comes standard with remote keyless entry. This is just the beginning of the greater value waiting for you in a new 2018 Volkswagen Jetta. The similar price tags that come with the new 2018 Volkswagen Jetta and 2018 Toyota Corolla may suggest that these small cars also come with similar performance. However, you'll only get 132 horsepower at the start of the Toyota Corolla lineup compared to 152 horsepower that comes with the entry-level Volkswagen Jetta. Since this additional horsepower is produced by an advanced turbocharged engine, the VW Jetta turns out an impressive 184 lb/ft of torque that makes passing and merging a breeze. 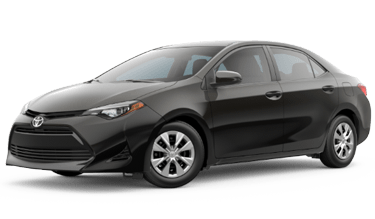 The new Toyota Corolla, on the other hand, starts out with just 128 lb/ft of torque, which may have you looking at the back of a slow truck longer than you'd like. Not only does the Volkswagen Jetta offer substantially more power, it also provides much better fuel economy. Come see us for a test drive to experience more of the performance advantages in the new VW Jetta. Today's roads are hectic and unpredictable, especially with distracted drivers in the mix. Fortunately, the new 2018 Volkswagen Jetta and the 2018 Toyota Corolla are engineered to be exceptionally safe vehicles. Of course, this is the safety of you and your loved ones we're talking about, so only the best will do. We looked at the facts and found some important distinctions between these two respected small cars. For instance, an Intelligent Crash Response System comes with every new 2018 VW Jetta that takes measures to help prevent further damage and danger after a collision be it from fire or rolling into another dangerous situation. You won't find this kind of technology in the new Toyota Corolla, and this is just one example of how you'll get more safety for your money in the new 2018 Volkswagen Jetta.